What is Spiritual Healing? – Calling on Energy from Higher Awareness. People barely define “Spiritual healing” as using prayer or faith alone to banish physical pain or cure disease. But, it isn’t simply a matter of ‘wishing away’ pain or disease by asking some imaginary force to remove it. Its purpose is to recover the greater understanding of who really we’re, where we come from and what we are doing on this Earth. This journey starts with an uncertain feeling that there must be more leads to remembering that we are eternal, holographic yet differentiated part parts of the greater Universal Consciousness or God. Some ways to spirituality are free from religious conditions, especially in western society. They involve also meditating and for these paths the intent of prayer can be different than a religious path. Spiritual Healing Prayer is a matter of relationship with our true nature. Its purpose is to learn to be ally of obscurity, instead of trying to drive life according to our need and interest or to get specific help. Spiritual healing is a label put on the transfer of angelic healing energies, by way of direct connection to source and with the assistance of Spiritual Healing guides via a spiritual healer. A Spiritual Healer will have a close connection with their appointed healing guides and it is this connection that is formulation of a unique and divine or angelic display of harmonic seen in this physical realm because it is melding of soul with spirit. In solid state it becomes ice, so if we suppose that we are a ‘body of ice’, being solid to touch which is our physical body, resonating at a low vibration. In liquid state water behaves as a fluid and conductor. If we can imagine our electromagnetic fields as a liquid state being fluid like, resonating at a high vibration. Higher than what we can see with our physical eyes, outside of low frequency range. This energy field changes colors, as we change throughout our lives and reflects our state of health as wellbeing. In gaseous state water can be seen as a mist of condensation but in reality it is invisible, which can be likened to our higher spiritual bodies, resonating at higher vibration. Spirit guides can be said to be in this gaseous state and when they work with a healer, they worked through a melding with the healer higher spiritual bodies in order to transfer energy down through to the physical body out the hands of the healer. Spiritual Healing Methods are often used by healers across the world to help people get spiritual solace. There is some energy Spiritual Healing Methods, we’ll write about few of them. 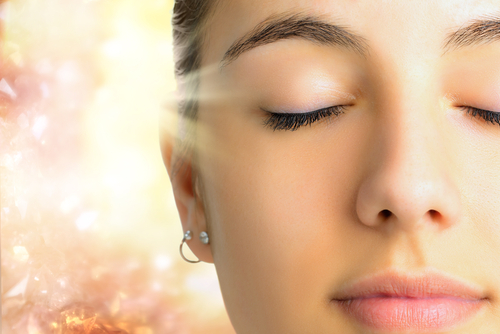 The aura and chakra system chelation is considered as one of the old Spiritual Healing Method. It is balancing and cleaning of aura. You must handle Spiritual Healing Methods with extreme attention, care and integrity. You must also be able to leave your identity sense behind in order to interact with the person of his best. Even more when you use Spiritual Healing Method and your sense of self can’t control or know all the interactions which are going on. The Throughout form, more than a Spiritual Healing Method to be applied, should arise spontaneously in the mind of healer as a product of high level of consciousness. There are many other Spiritual Healing Methods used by healers comprising guided imagery, channeling, visualizations, affirmations and mantras among others. How does prayer relate to spiritual healing? Religious traditions all over the world show faith in healing through prayer. The power of Spiritual Healing Prayer has been examined in triple–blind, randomized controlled trails. We clarify randomized controlled trails on prayer and healing. Spiritual Healing Prayer has been reported to improve outcomes in human as well as nonhuman species, to have no effect on outcomes, to worsen outcomes and to have retroactive healing effects. Prayer is a special form of meditation and may therefore bring all the health benefits that have been interconnected with meditation. Prayers may be supporting by varying degrees of belief and may therefore be interconnected with all the benefits that have been associated with the placebo response. The results of prayer may in benefits that are due to divine intervention. Spiritual Healing prayer differ depending on the situation you are facing in life, on the step you’re taking in our growth and on the level of you consciousness. The power of a spiritual protection and healing prayer lies within yourself and ability to connect to Supreme Being. Can spiritual healing work in cooperation with other forms of healing? Yes, spiritual healing can work in cooperation with other forms of healing. Lots of channels work with spirit guides and companions. Most of them work with aura, with the chakras and color. So long, as the healing channel understands what he is working with, in conjunction with basic spiritual healing, it can work together as a harmonious and whole healing experience. Few occasions in life are painful as the death of your spouse. You may be undetermined; you will survive this immense loss. You may be torn; you even have energy or desire to try to heal. Remember Death Healing does not mean forgetting your spouse and the moments you shared together. If right now you’re not assured who you’re, you’re confused, this is appropriate because you have lost a part of yourself. You’re now facing difficult time but need to mourn. It is the open expression of your thoughts and feelings about the death of your spouse. It is a crucial part of Death Healing. Express your grief. When you share your grief with someone healing occur called Death Healing. Remember that may some people may try to get these Death Healing of yours, by how quickly they can get you to do something with these belongings. Don’t let them make decisions for you in this situation. Only you should take yourself out of Death Healing. If you’re suffering from a disease, an injury, or continual medical condition, you may wonder if you ever be healed. The bible has a solution and good news for you. While medicine and doctors are gifts of GOD and he surely uses them to bring healing. His power is infinitely greater than by any human perception. The first step in receiving healing is to give your heart to Jesus Christ. Take time to confess your sins, receive forgiveness through his death on the cross and ask Jesus Christ to be lord of your life. God has made it possible for you to know him and undergo an amazing change in your own life.